High Speed 2 (HS2) is currently the largest infrastructure project in Europe. 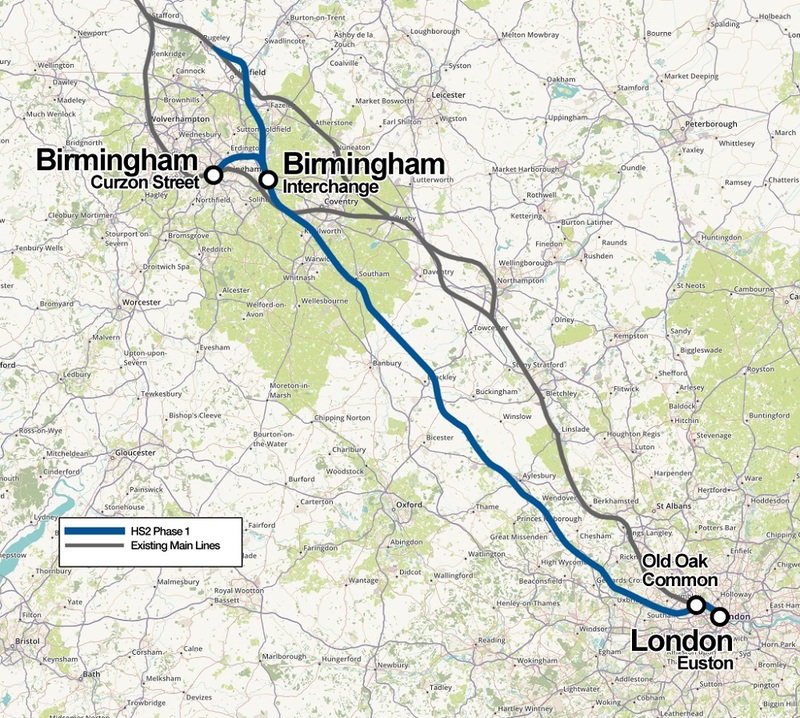 The new network providing high speed rail links between London and Birmingham (Phase One) and then on to Leeds and Manchester (Phase 2) will improve capacity across the rail network, shorten journey times between Britain’s major cities, boost the UK economy and create tens of thousands of jobs. It is a huge undertaking: a £55.7 billion investment and a construction programme that will last until 2033. However, one underappreciated aspect of HS2 is that the project is breaking new ground for the concept of the circular economy. From its launch in 2012 the government’s goal has been for HS2 to ‘build the most sustainable high speed railway of its kind in the world’. That ambition was recognised this year when HS2 became the UK’s first infrastructure project to be awarded a BREEAM Infrastructure (pilot) Scheme Certificate for its sustainability strategy. The award carries weight: BREEAM (the Building Research Establishment Environmental Assessment Method) sets the global standards for best practice in sustainable design for buildings and infrastructure. These are the same principles that drive Rype Office’s circular approach to office design and furniture remanufacturing. Jon Neale of ALIGN JV – the Main Works Civil Contractor for the C1 Colne Valley Viaduct (CVV) and Chiltern Tunnels package – told us that the obligation for HS2 contractors is to leave the route “no worse than before scheme”, with a focus on areas including carbon reduction, landscape planning and ‘no net loss’ to biodiversity. Some seven million trees and shrubs will be planted along the Phase One route. But reusing and recycling materials will also be key to achieving the project’s sustainability goals. According to an HS2 spokesperson, the project ‘will reuse 90% of the 128m tonnes of excavated material along the route’ – with major cost and environmental benefits. Some of the re-use and recycling is highly imaginative – for example, timber felled for the rail line in Camden is being used to make park benches for the local community. To deliver upon HS2 groundbreaking sustainability ambitions, its procurement procedures need to be able to discern and reward solutions that offer innovative sustainable results. The building of a major new network provides fantastic opportunities for regenerating areas and buildings that have been overlooked or fallen into decline. A great example is the Curzon Street HS2 terminus station in Birmingham. The long-neglected empty building will be redesigned, rebuilt and brought back to life for the long term benefit of the city. During HS2’s construction it will be a community hub – and by the time the rail line is in operation it will be one of the largest new stations built in Britain in 100 years, with an estimated 25,000 passengers using it each day in 2026. The construction of HS2 alone will directly create tens of thousands of jobs across all disciplines including design, technology and engineering. Around 25,000 jobs will be created through construction and over 3,000 jobs will be created to operate the railway itself. To date, some £1.9m of funding has been awarded to local communities across the HS2 Phase One route, as part of the HS2 Community and Business Funds. These cover all kinds of projects, from basketball activities for Birmingham teenagers, to funding for litter picking volunteers. With circular economy principles at the heart of HS2, there are huge opportunities for making use of remanufacturing throughout the project. As sites are demolished and sites cleared, material resources such as steel and timber can be recovered and reused in construction. The planned 500 person new project office for phase 1 north of London offers an exciting opportunity to showcase the potential for circular offices, including remanufactured furniture, IT equipment and flooring. This would save money, give employees an attractive and comfortable place to work and help HS2 meet the ambitious goal of becoming ‘the most sustainable high speed railway in the world’. Given the office will only be needed for the duration of the project, choosing furnishings that can be remanufactured at the end of the project makes a lot of sense economically and environmentally. Our thanks to the HS2 communications team and to Jon Neale of ALIGN JV for their help with this article.